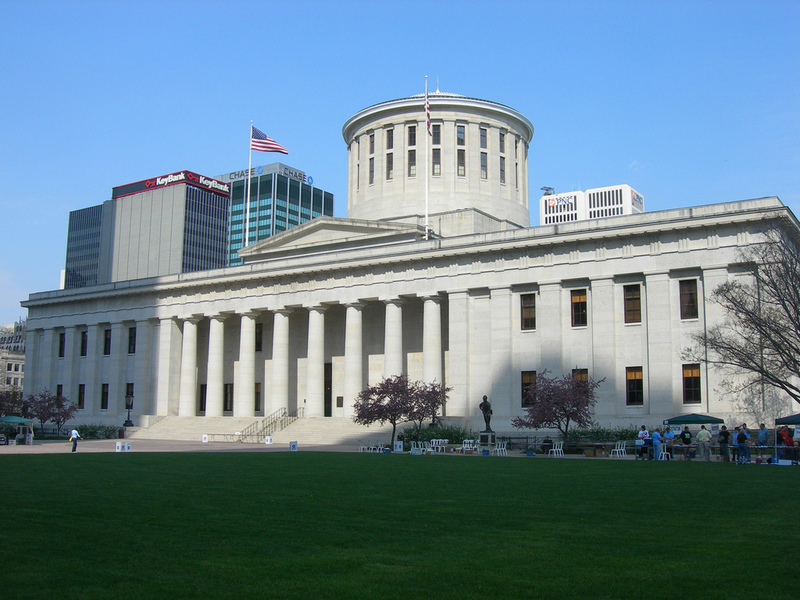 Ohio Capitol building in Columbus; photo by Jimmy Emerson, DVM / Flickr (noncommercial use permitted with attribution / no derivative works). 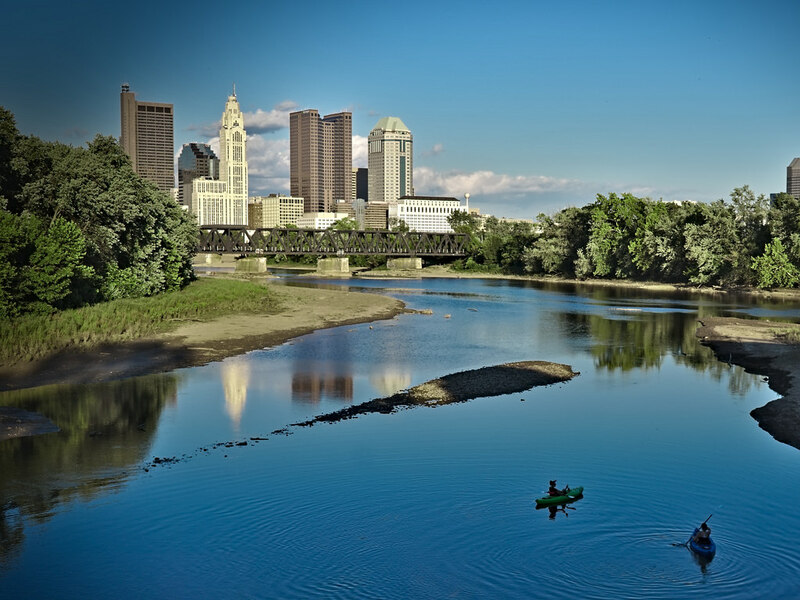 Columbus, Ohio; RiverSouth District. Photo by Mathieu Thouvenin/Flickr (noncommercial use permitted with attribution/no derivative works). 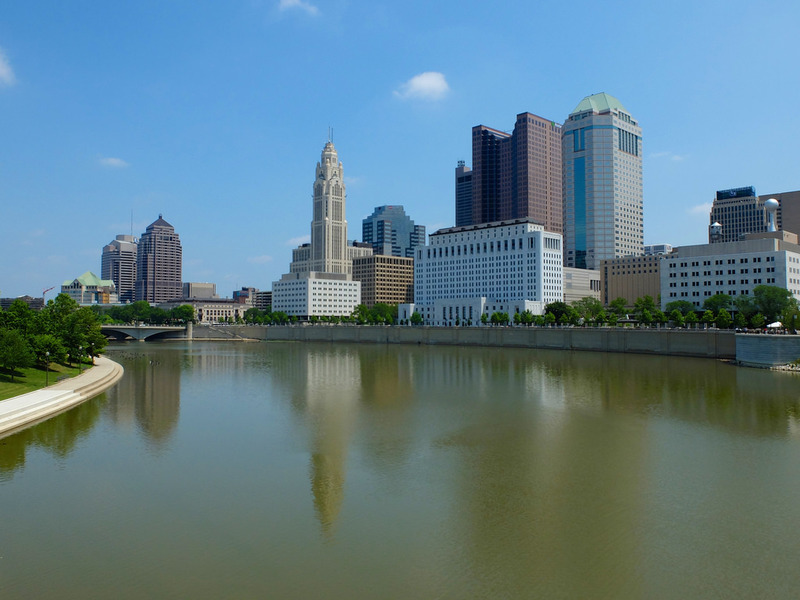 Downtown Columbus, Ohio; state capital of Ohio. Photo by Always Shooting/Flickr (use permitted with attribution).